Abandoned cells at McNeil Island's prison site. In the first 50 years of McNeil’s prison — during its time as a federal penitentiary — life was pretty terrible, says Forgotten Prison co-host Simone Alicea. “More terrible than most prisons in the 1800s,” she said. In the beginning, the territorial government was granted enough money to build structures on the prison site and nothing more, said Dave Beals, a historian with the Washington State Archives. He conducted research for the McNeil Island exhibit at the Washington State History Museum. That’s because the prison didn’t have a budget until 1909. Before then, guards were paid out of the salary of the U.S. Marshal, who ran the institution. As a result, the guards were provided no equipment for handling the inmates. Beals said if they needed shackles, for example, they had to scrounge for them. What’s more, the inexperienced men in charge knew next to nothing about running a prison. Beals recalled stories of guards who relied on blacksmiths to get leg irons on and off the inmates. At first, they left the irons on indefinitely — causing horrific pain and discomfort — until the territorial governor offered to buy removable leg irons to stop the inhumane practice. Alicea says some might argue McNeil’s initial problems at the prison were design flaws, a result of the prison’s island location. When people traveled to McNeil — by canoe or rowboat in the early days — bad weather sometimes kept them from traveling back to the mainland. That meant families of guards and inmates, and even witnesses involved in trials, would sometimes be forced to stay in cellhouses at the prison. They would even be forced to “earn their keep,” Beals said, by doing manual labor during their stay. “The idea was that you couldn’t eat unless you earned it,” he said. Even the water supply was a point of uncertainty. Guards and inmates bathed using shared buckets of water, due to a lack of plumbing, except when the weather allowed them to bathe in Puget Sound. And the prison shared water with the homesteaders settling on the island, Alicea said. In fact, a report at the time by the American Prison Association cited water supply as one of many reasons McNeil Island’s prison should be closed and relocated. American Prison Association report from 1927. The report was released in August 1927, an outcome of the association’s national prison convention held in Tacoma that year. Other issues of note included poor soil, minority land ownership and inaccessibility. 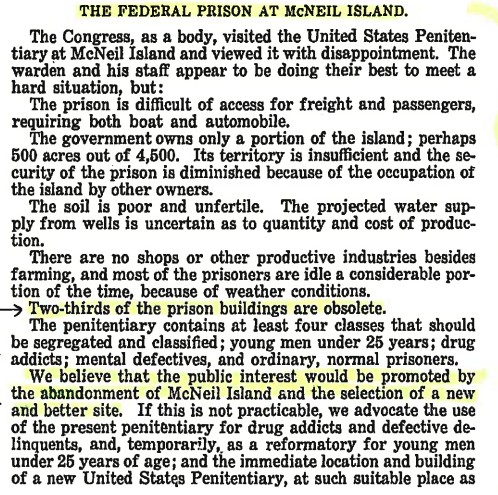 Despite the “scathing condemnation,” as Beals calls it, McNeil operated under the same conditions for decades. “They were seeing some of the same buildings that were used by the state into the 1990s,” Alicea said. This story is the result of research from a yearlong project in partnership with the Washington State History Museum. 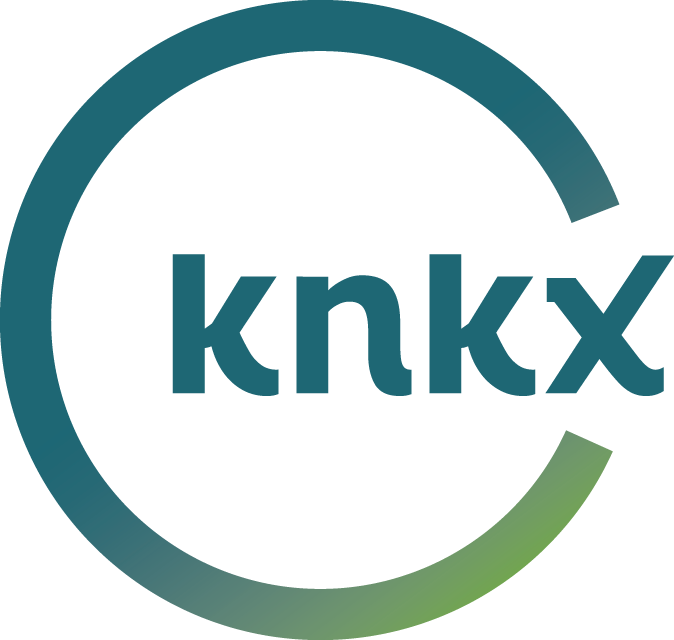 It supplements Episode 3 of the podcast Forgotten Prison, a six-part series from KNKX Public Radio hosted by reporters Simone Alicea and Paula Wissel. Subscribe via Apple, Google or anywhere you get podcasts.